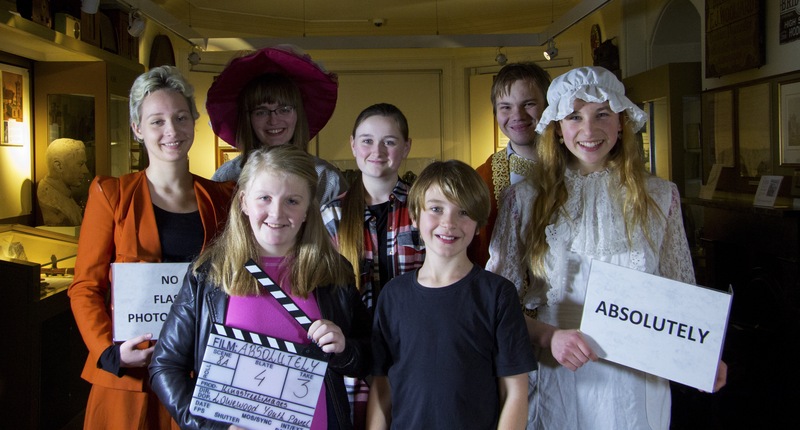 We’ve been working with Hertfordshire’s Lowewood Museum’s Youth Panel over the last few months producing a short film. From early ideas, a script was created and the project took shape. The film was shot at weekends and in the evenings when the panel was available. It was a busy time for the Youth Panel what with revision, school, work, civic commitments, Snapchat, Instagram, and Christmas even popped up unexpectedly. Absolutely will be arriving online very soon. This entry was posted on February 21, 2017 by Mät King. It was filed under Lowewood Museum, youth panel and was tagged with Broxbourne, clapperboard, hertfordshire, script, shiort film, youth.